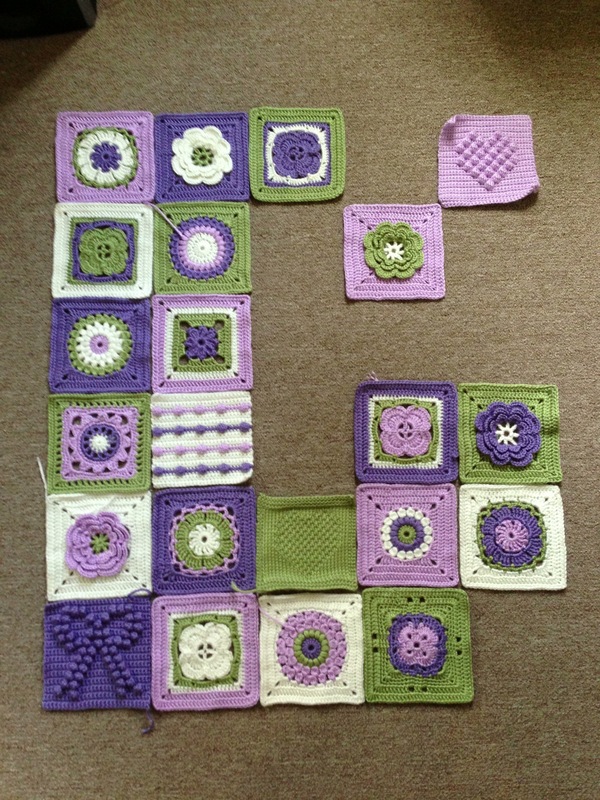 Only 8 more squares to make… Then the sewing together and the edging and I’m done! Hopefully by the end of this week. Pretty. I like the bow in the corner.